Fashion month regularly churns out trends at the speed of light, but there was one in particular this year that completely stuck. 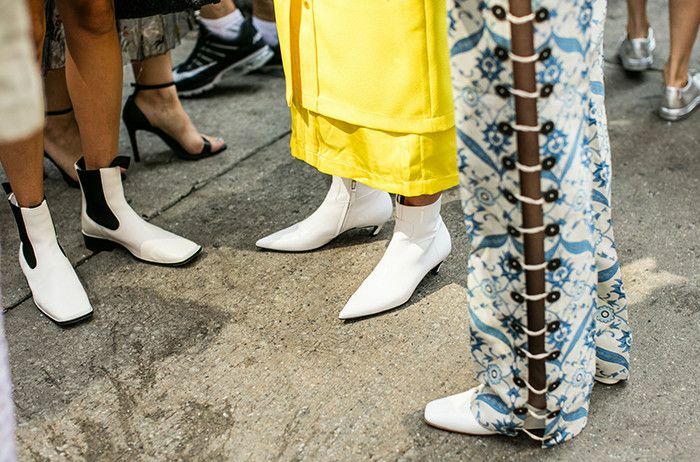 The fashion set proved that the only shoe color that matters this winter is white. We have the street style shots to prove that crisp white kicks were spotted absolutely everywhere on the streets of New York, London, Paris, and Milan, and now, they can be spotted on your feet as well. From boots to pumps, loafers to mules, white hasn't met a shoe style it doesn't look great on or an outfit it doesn't bring to life. This winter, we advise you to ditch the ancient fashion rule that you can't wear white after Labor Day and instead proudly flaunt the color in any shoe style of your choosing. Ahead, we give you the white shoes that will ensure you are on trend and in style all season long. 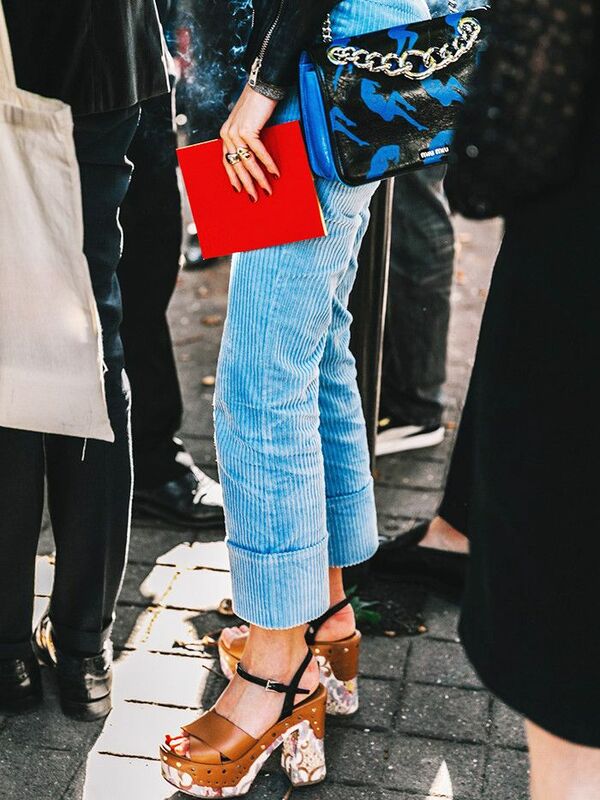 Keep reading to see the best white shoe trend street style images and to shop our favorites! After you purchase the white, go ahead and buy all the other colors as well. We kind of love how the heels on these look like Legos. Who knew Velcro, laces, and kitten heels could all look so great together? An affordable version of any trend is always a great idea. These boots are the definition of crisp. Wear these with a chunky sweater and frayed-hem denim. Swap your go-to black ankle boots for these this winter. The modern version of Mary Janes. These shoes will do wonders for your classic workwear looks. We envision these with a striking pair of wide-leg trousers. The pumps of the future. The Row has never made loafers we didn't like. You'll be able to walk for miles in these, guaranteed. Next up, check out the most comfortable shoe style for a holiday party!